Get one year of IDrive's Pro Personal Plan - one TB of Cloud Backup and one TB of syncing - for $14.88. This gives you a massive amount of storage, split between traditional cloud backup and cloud syncing, for easy access across all your devices at 75% off. So why the storage split? Traditional cloud backup is essentially for cold data, data that isn't accessed a lot. This allows for incremental backups that save network bandwidth, scheduled and real-time settings, and backup logs. With sync, while it is also in the cloud, your data is synced to other devices, perfect for files you're currently working on or need, making them easily accessible while keeping them protected. Through internal testing IDrive has found that, by separating into the two buckets, it enables better performance, making it easier to for users to access and allocate their data while keeping it backed up and protected. 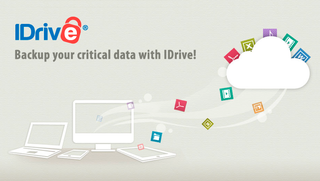 Sign up with IDrive, get all the secure backup storage and syncing you need, across all of your devices. It's the all-in-one cloud solution and saves you 75%. The price goes to back to $59.99 after the first year of usage.